Among the areas of investigation in contemporary breast pathology research, I am particularly interested in triple negative breast carcinoma (TNBC). TNBCs, which represent 15-20% of all breast carcinomas, may have the most unmet patient needs among all of the breast carcinoma subtypes, simply because they may be either extremely deadly or highly curable and we lack many markers that can help us predict which tumors will fall into either category. I am also interested in the morphology and molecular genetic alterations of hormone positive breast carcinomas at the time of acquired resistance to endocrine therapy. 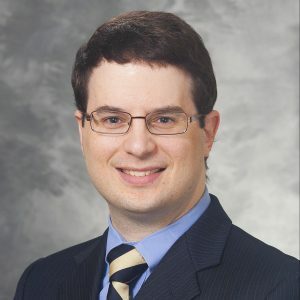 With regard to possible future research directions, I am particularly interested in collaborative research opportunities as I feel strongly that the answer to many of the problems encountered in breast cancer research – in particular in the area of TNBC – will only be adequately addressed by an integrated approach. It is my hope that interdisciplinary teams incorporating input from experts in oncology, immunology, molecular diagnostics, bioinformatics, surgery, radiology, and pathology will be the norm in the near future as we work towards achieving the optimal treatment of our patients. Buehler D, Weisman PS. “Soft Tissue Tumors of Uncertain Histogenesis: A Review for Dermatopathologists.” Clin. Lab. Med.. 2017;37(3):647-671. Rosenbaum JN, Weisman PS. “The Evolving Role of Companion Diagnostics for Breast Cancer in an Era of Next-Generation Omics.” Am. J. Pathol.. 2017;187(10):2185-2198. Weisman PS, Sutton BJ, Siziopikou KP, et al. “Non-mass-associated intraductal papillomas: is excision necessary?” Hum. Pathol.. 2014;45(3):583-8.